On 22nd March we celebrate the United Nation’s World Water Day, a day to recognise water as a precious resource both for people and biodiversity. As we come out of one of the worst droughts South Africa has ever seen with memories of the disaster fresh, minds are now turning to increasing future water security for the water scarce Western Cape. Increasing future drought is an inevitability in the face of changing climate bringing higher temperatures and decreasing precipitation to Southern Africa and adaptation to these changes is key. Much of the southern Overberg is dependent on Theewaterskloof Dam for water, both for domestic use and for agriculture. As the drought worsened, the world looked on as dust storms blew across what was one of the largest water resources supplying the Western Cape. Good winter rains have improved the situation for now, but complacency is misplaced and action is needed to ensure that history does not repeat itself. Not only is enough water needed to satisfy the demands of a growing population, but also to ensure that biodiversity does not suffer as a result of unsustainable use of resources such as groundwater. 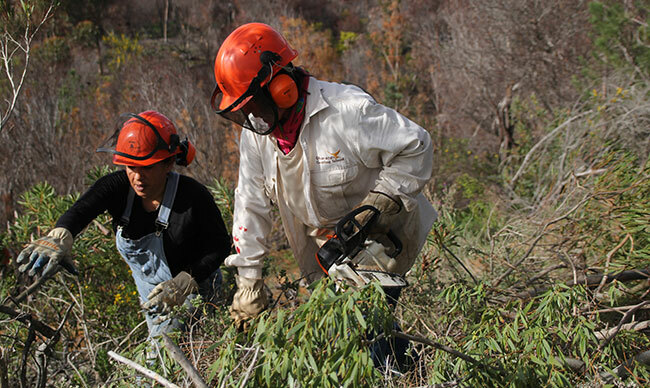 Clearance of alien vegetation is one of the most effective ways of unlocking much needed water resources. Aliens are in this context not extra-terrestrial life but plants that have been introduced to South Africa from other countries that have become invasive and thus a threat to biodiversity. In the small Overberg town of Napier, a small group of passionate individuals belonging to the Southern Overberg Branch of the South African Botanical Society has started a new community hacking group to tackle alien vegetation along the banks of the Klippedrift River that runs through the centre of town. 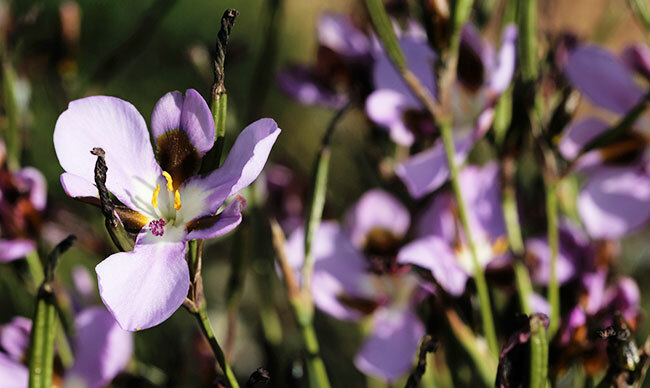 From a biodiversity perspective, the results of this effort have been astonishing: after a fire went through an area cleared by the volunteer hackers, two Endangered species flowered prolifically the following spring: Aristea teretifolia and Moraea melanops. These two species had not been seen on this piece of land for several years: The combination of two essential components – alien tree removal and fire – brought these two dormant bulb species ‘back to life’. 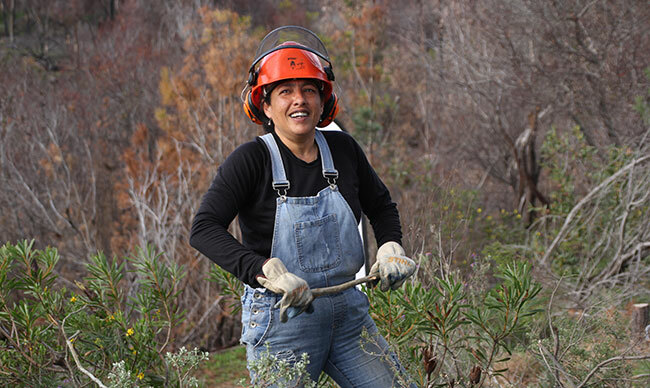 As an acknowledgement of the incredible work that this small team of volunteers is doing, the SA Botanical Society donated two chainsaws to the team, enabling them to be even more effective. The ORCT has donated a tree popper to the team (a device used to remove saplings by their roots) and we are also engaging with the municipalities to explore ways in which such a project can be scaled-up and funded (through external partners) in a way that supports local job creation. Increased support for this initiative (and many others like it) is essential for ensuring that crucial water resources will be unlocked and more botanical gems will be restored to their full glory. Community driven conservation initiatives such as this are a great way to bring people together with a common aim of improving biodiversity within local open spaces. Hacking alien vegetation is also a great workout and as satisfying as any trip to the gym. Where watercourses are invaded by alien trees such as Acacia, streamflow can be reduced by more than 50% so clearing this vegetation restores water flow leading to improved ecosystem function. 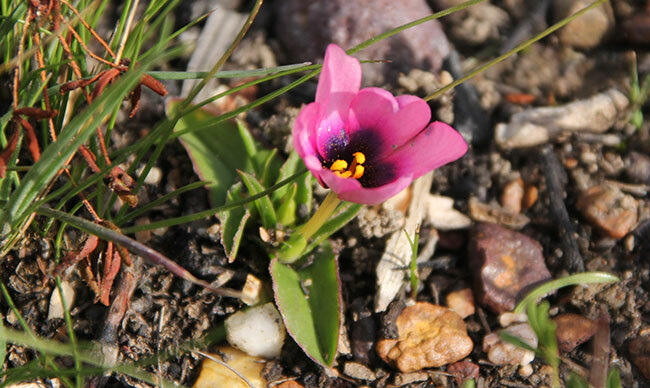 Biodiversity benefits too with the invading species outcompeting local flora now gone. 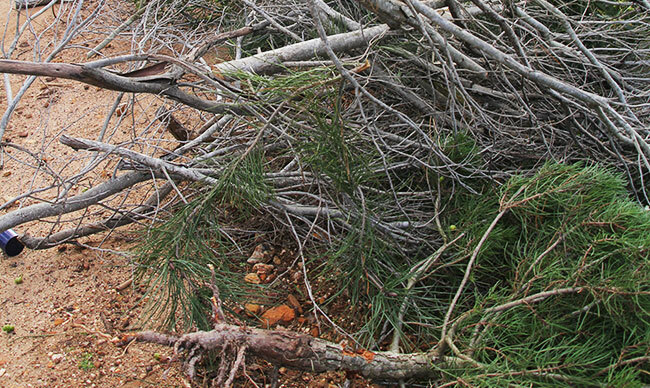 In river systems that have been severely invaded, recruitment of indigenous Renosterveld and fynbos species is curtailed in favour of a dense canopy of invasive trees. This changes the soil structure and reduces its ability to absorb rainwater, in turn leading to extreme soil erosion. Dense stands of alien trees also cause increased sedimentation within the watercourse, over time leading to heightened flood risk. 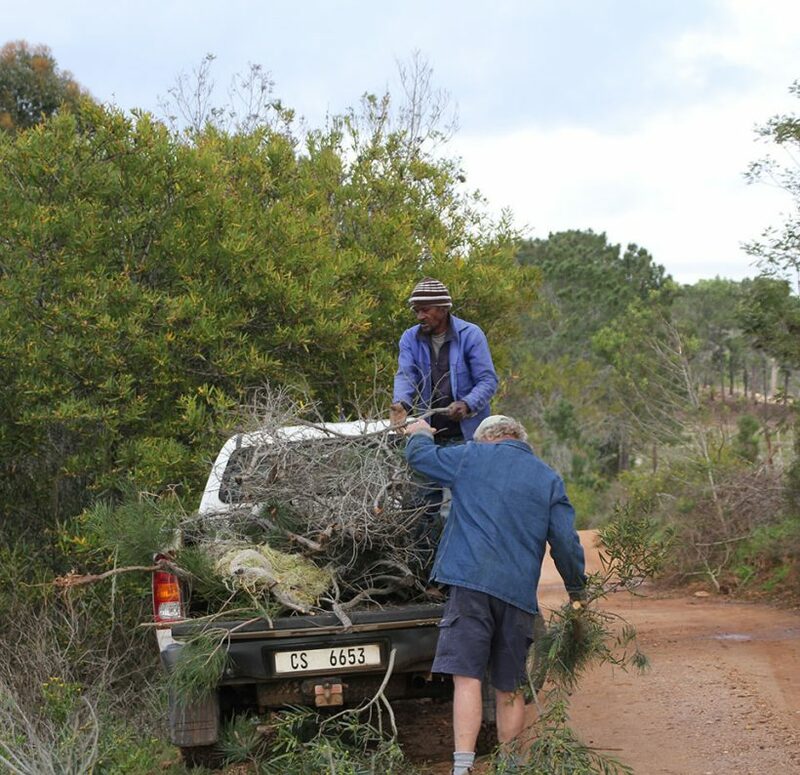 Clearing alien vegetation reduces fire hazard too, yet another reason that this the community initiative is bringing about great results for conservation and community safety. So what are you waiting for? There are many alien hacks organised by conservation-focused community groups across the Cape Floristic Region and beyond. Time to get involved and make a difference. If you would like to support the Napier initiative financially, please contact the ORCT at info@overbergrenosterveld.org.za to discuss.